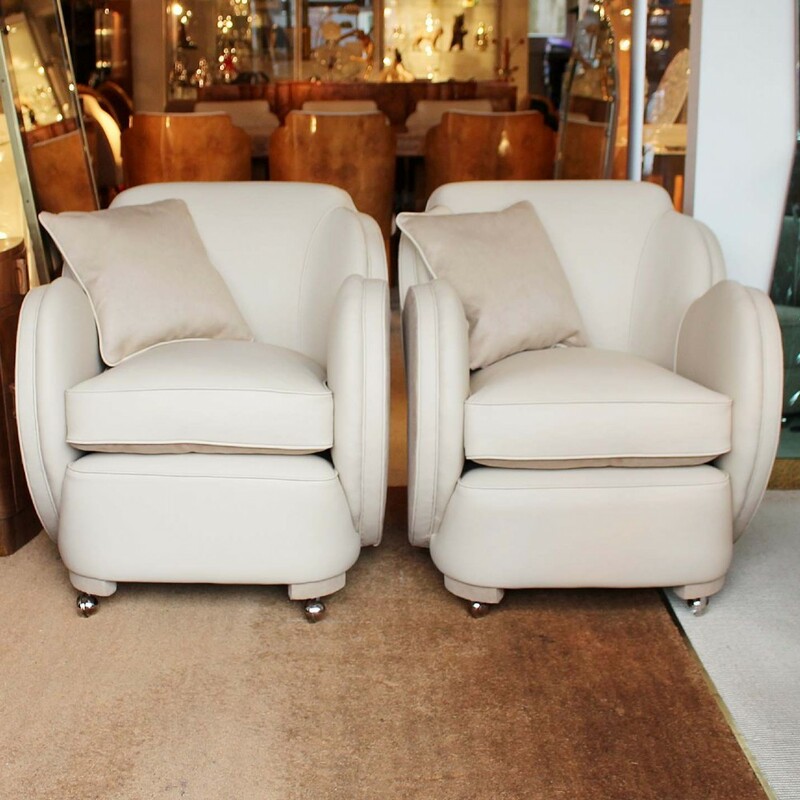 A pair of Art Deco, cloud back armchairs. 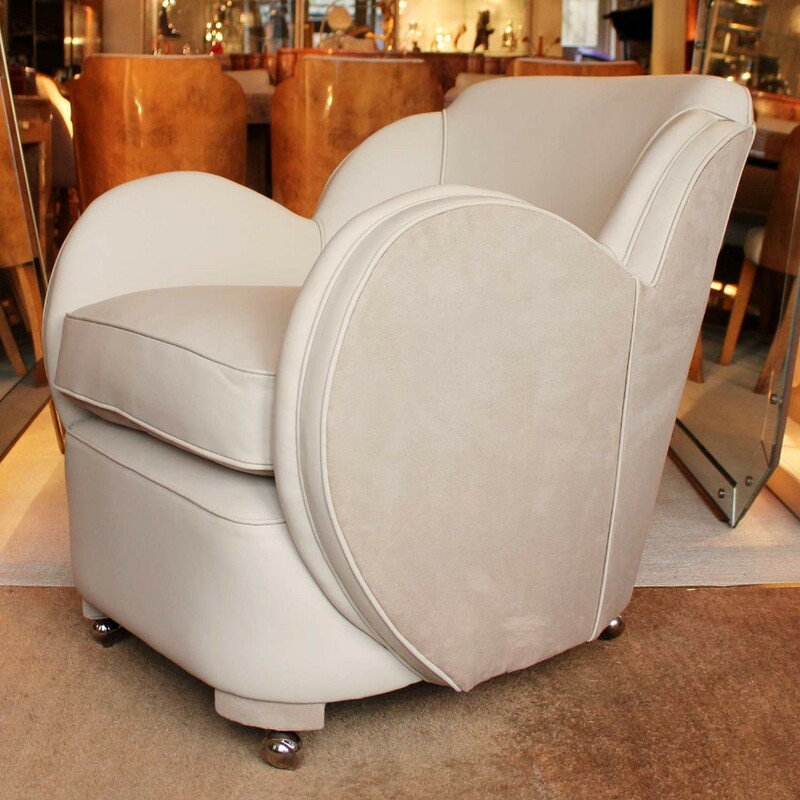 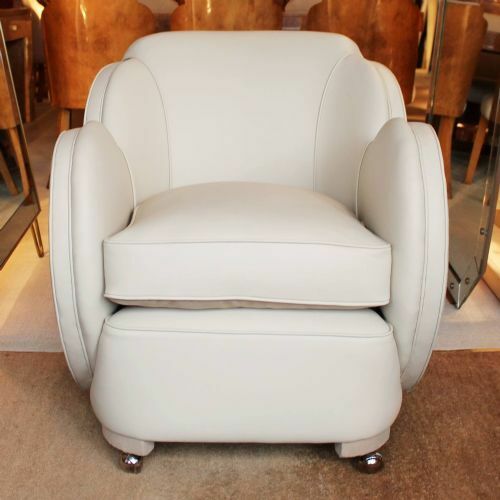 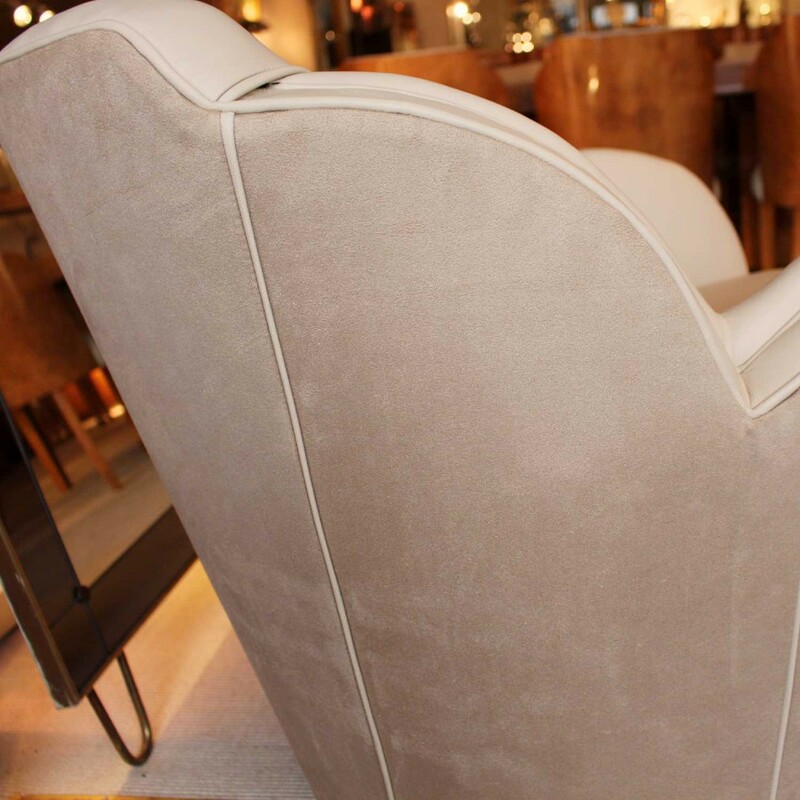 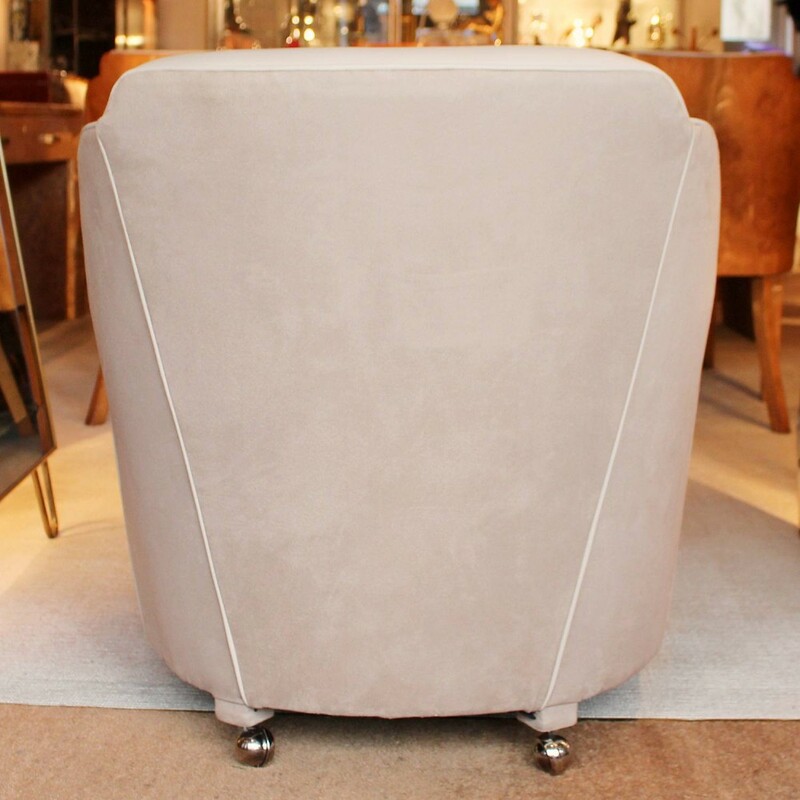 Upholstered in cream leather and contrast Alcantara suede with later casters. 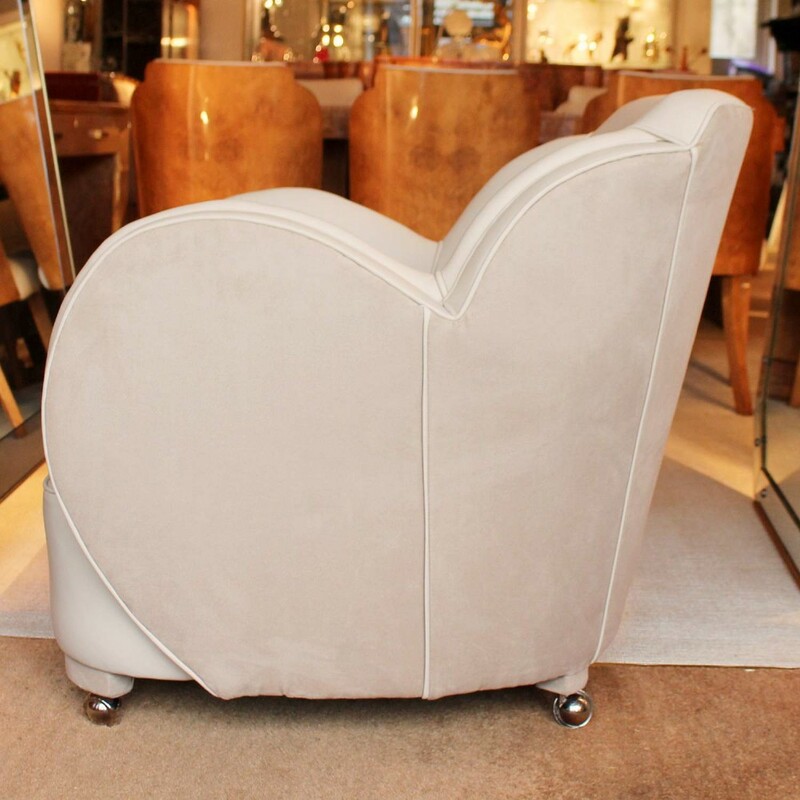 The A Pair of Epstein, Art Deco Cloud Chairs circa 1930 has been added to your saved items.